Tanner De Witt was proud to be the main sponsor at the Spring Fever Saturday Dance Party this weekend raising funds for Wimler, a Hong Kong based charity which provides funding for children in the Philippines to go to school in circumstances where they would not otherwise be able to do so. WIMLER Foundation Hong Kong Ltd. was officially registered in 2011 as a non-profit and charitable organization whose primary objective is to support the capacity building and empowerment of migrant communities regardless of nationalities and to promote cultural diversity in Hong Kong based on mutual respect, solidarity, and shared empowerment among peoples. 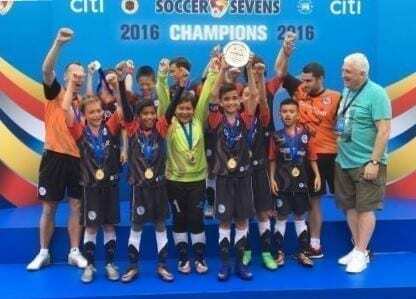 The Citibank Soccer Sevens took place 20-22 May 2016 at the Hong Kong Football Club. We are thrilled to announce that the Tanner De Witt sponsored ESF Lions won some silverware; the U11s won the Plate and were lucky to meet legendary football star David Johnson (a three times European Cup winner!). Read more about our support for the ESF Lions here. ESF Lions U11 Team Wins Plate with Legendary Football Player David Johnson! 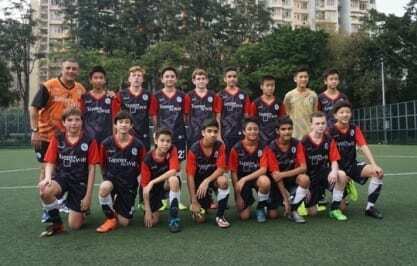 The ESF Lions U14 HKFA were also Division 3 Winners at the same event and we wish them all the best for the next season. Tanner De Witt is proud to be active in the local community in sponsorship and support for charities, sports teams and local individuals and organisations.